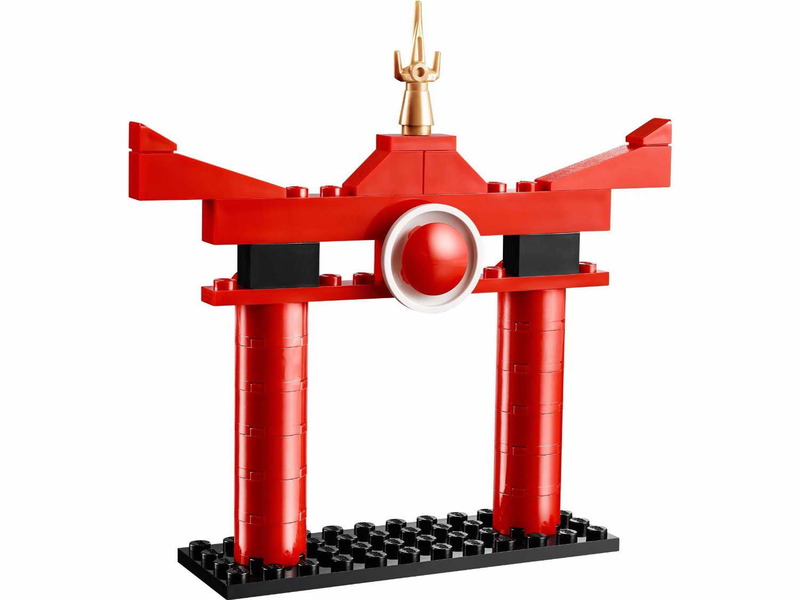 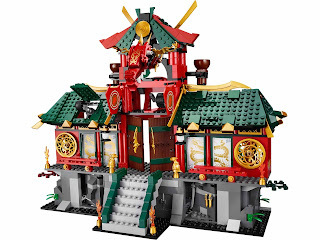 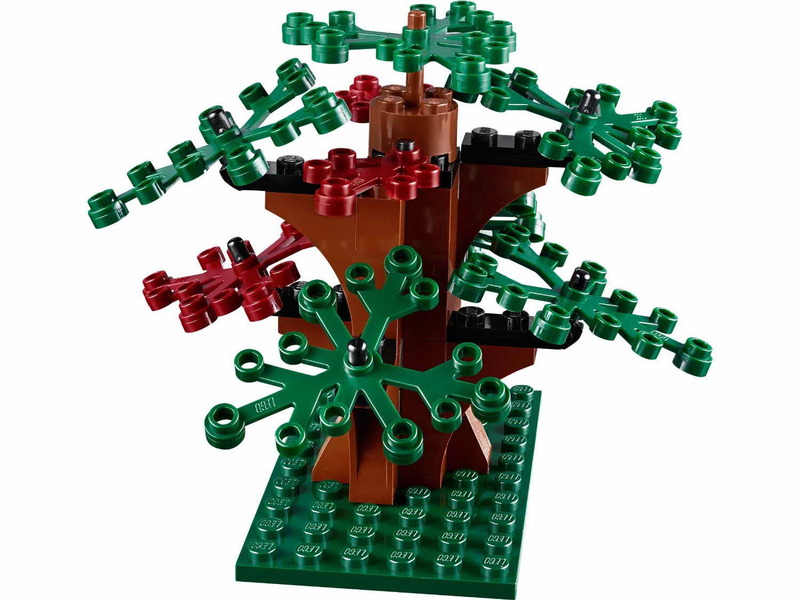 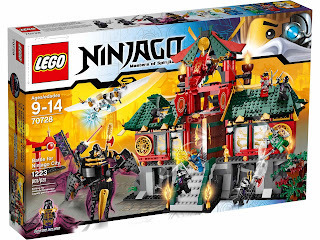 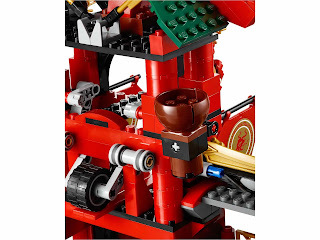 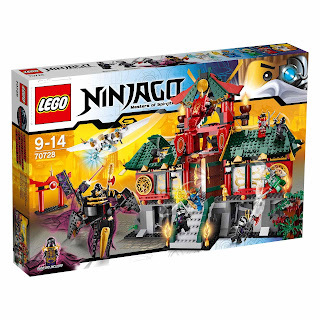 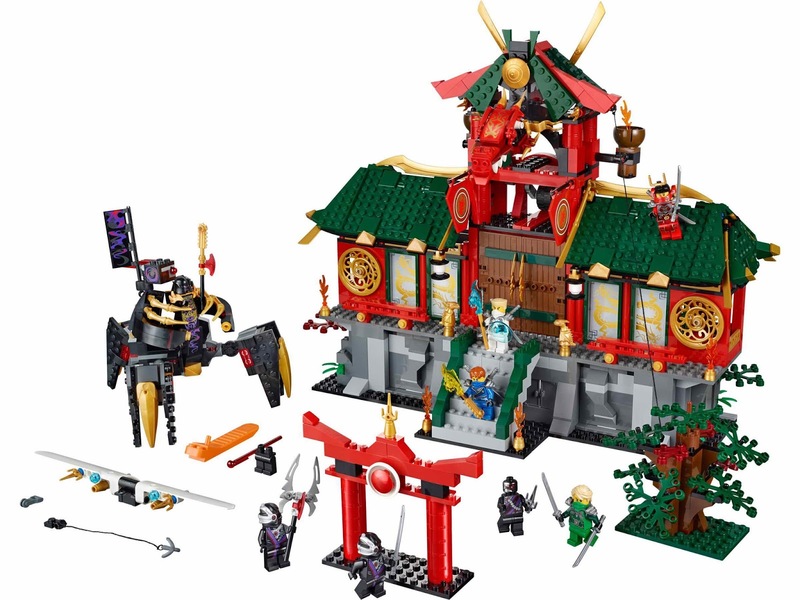 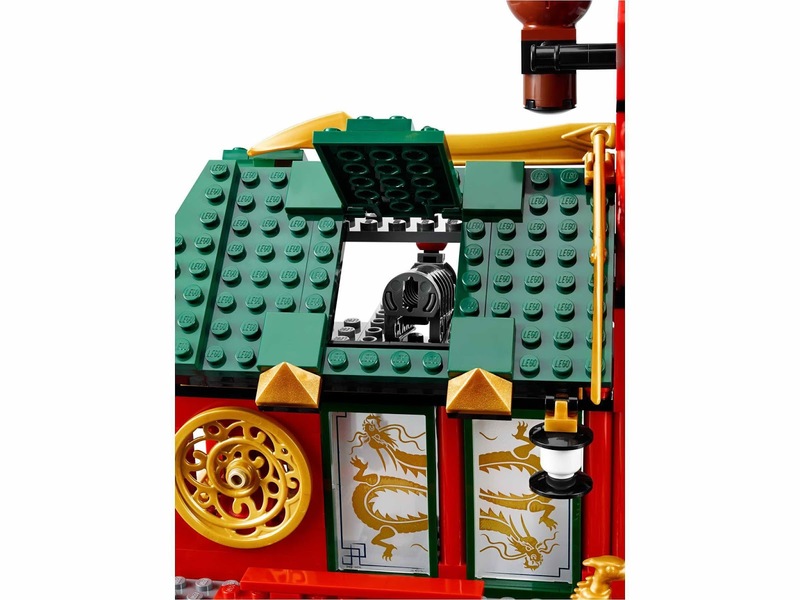 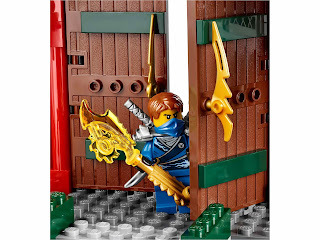 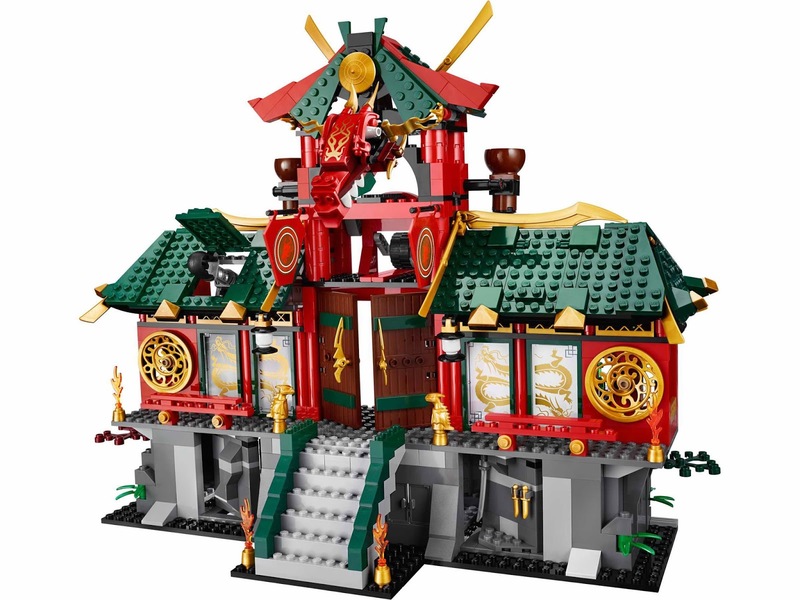 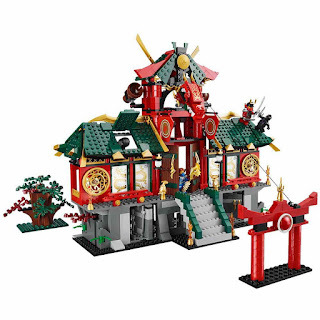 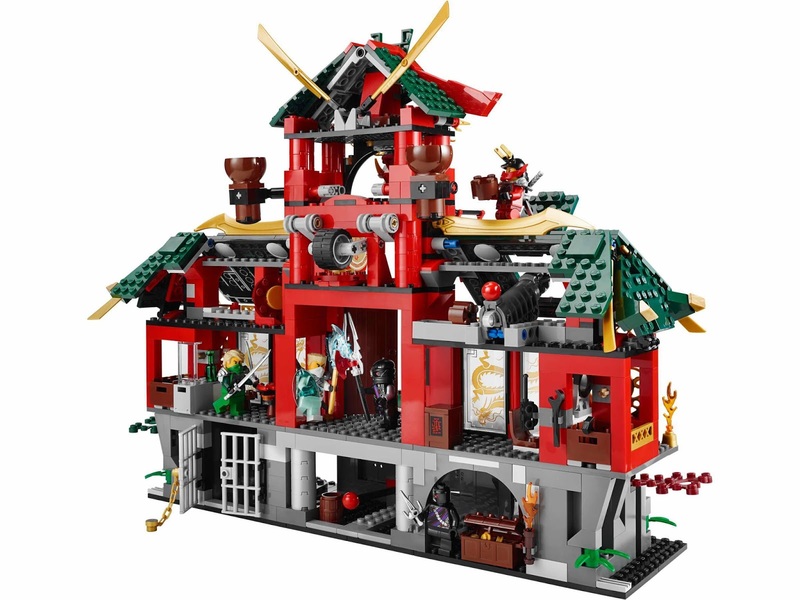 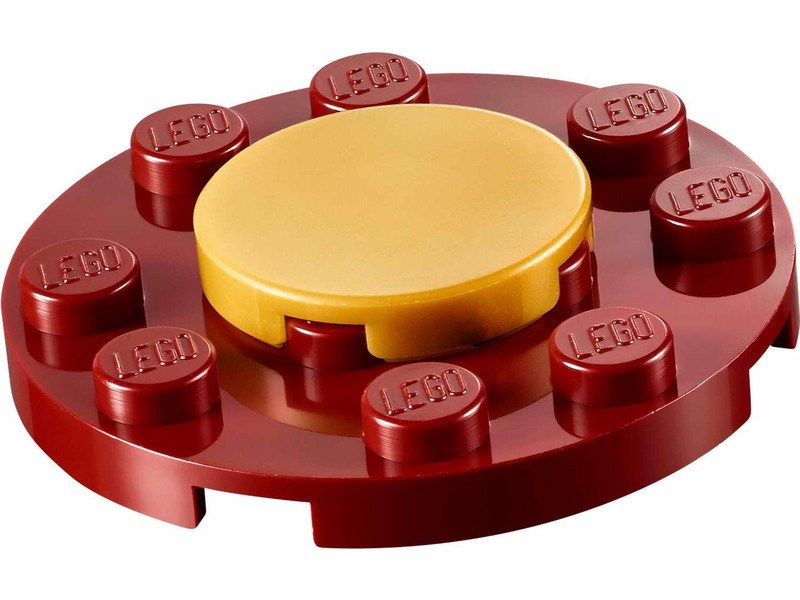 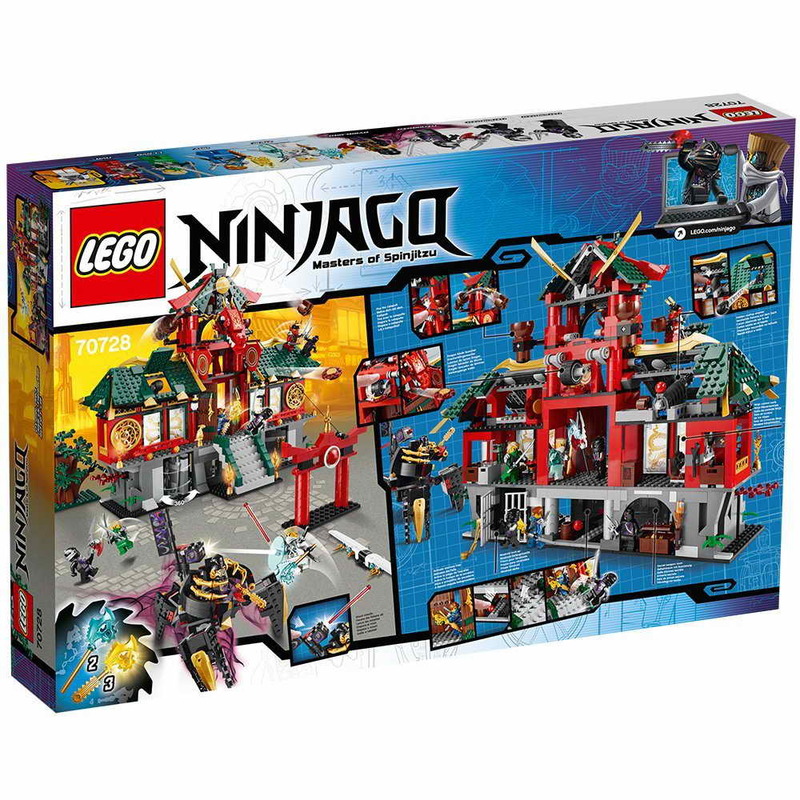 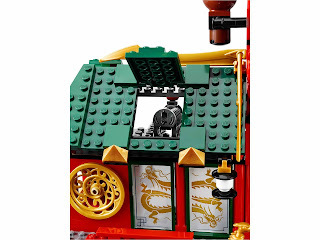 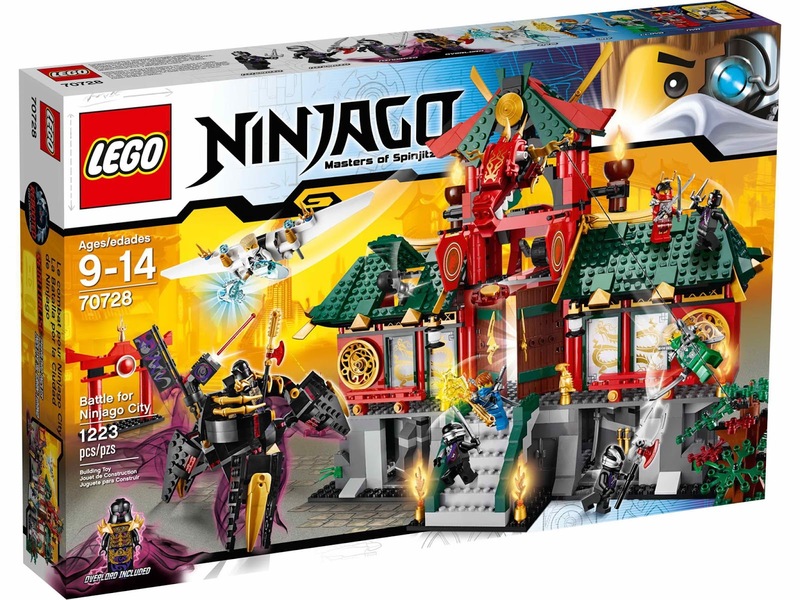 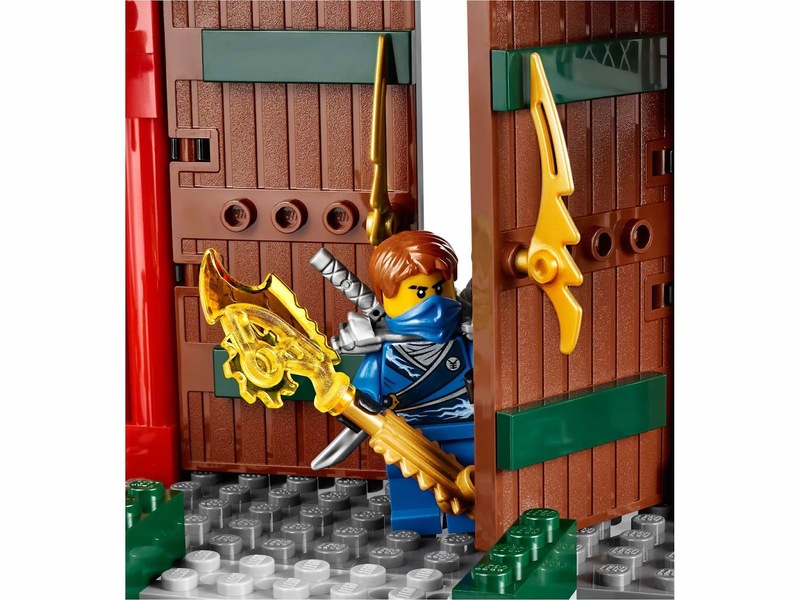 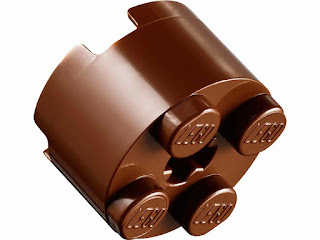 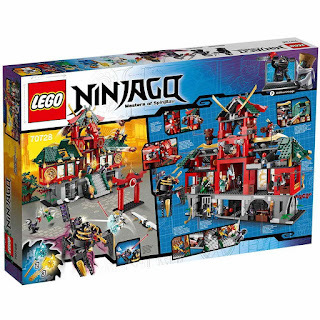 come with a ninjago temple, a ninjago entrance arch, a tree and a zane’s glider. 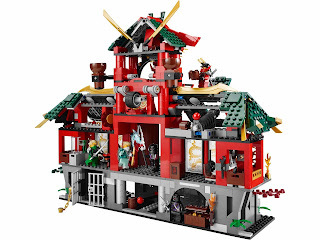 the temple has big entrance doors, dragon windows, rotatable walls, hidden weapons, catapult stairs, a ninja control room, a computer, tools, hidden ninja sleeping areas, a kitchen, a grill, sausages, a prison for nindroid, a dragon head tower, flags, a dual catapult, a hidden disc shooter, a roof, a hidden shooter cannon, a secret ninja entrance, a zip line and golden decorative elements. 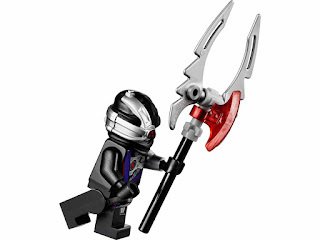 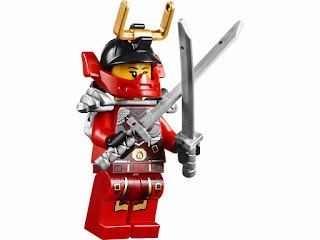 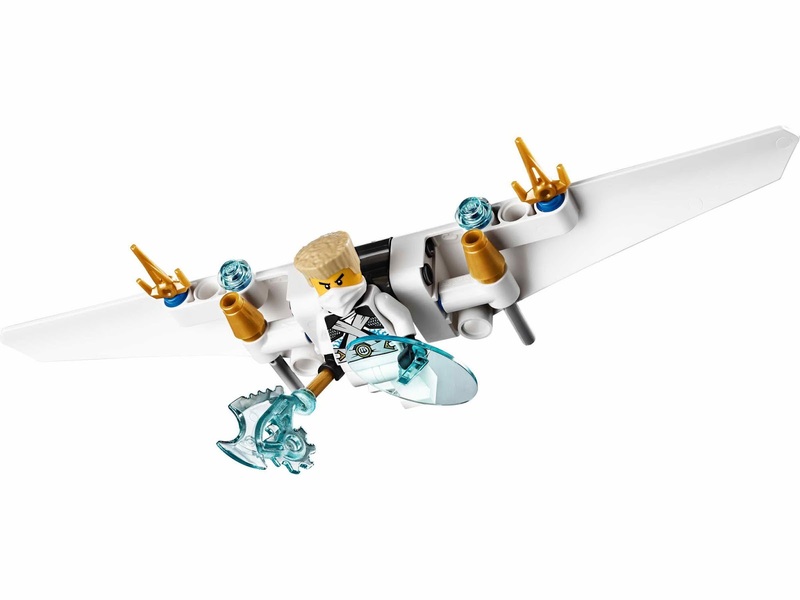 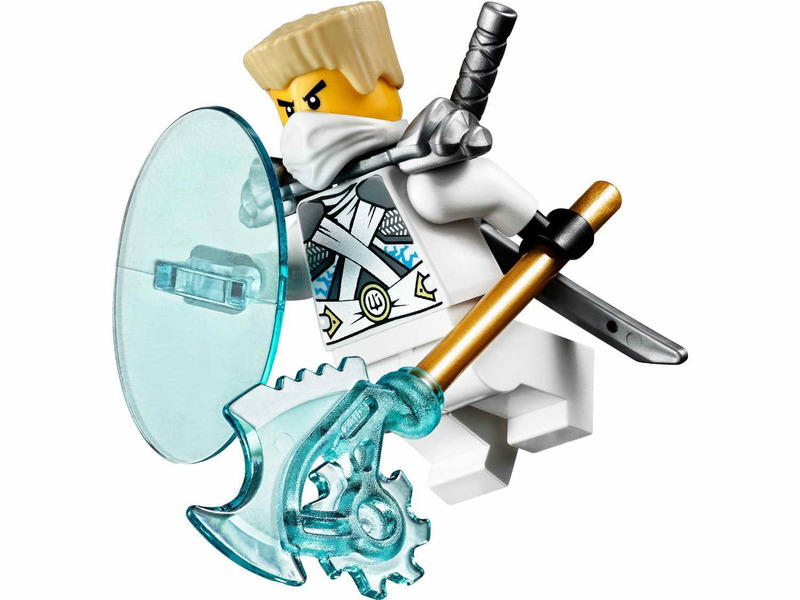 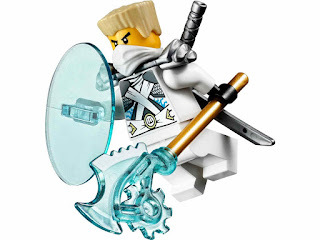 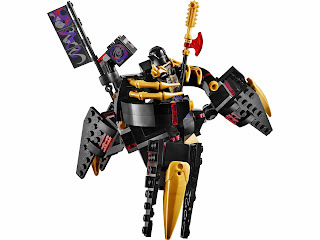 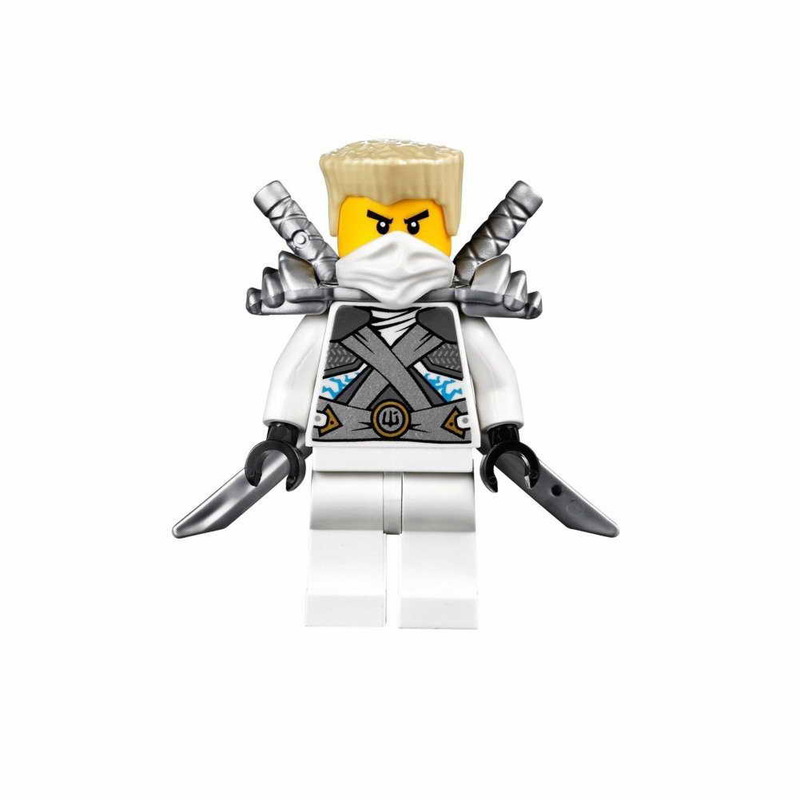 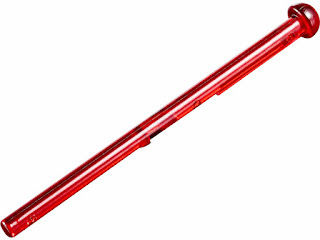 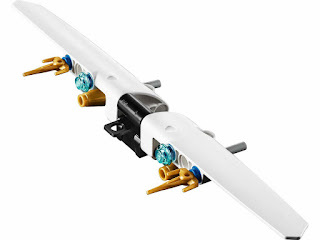 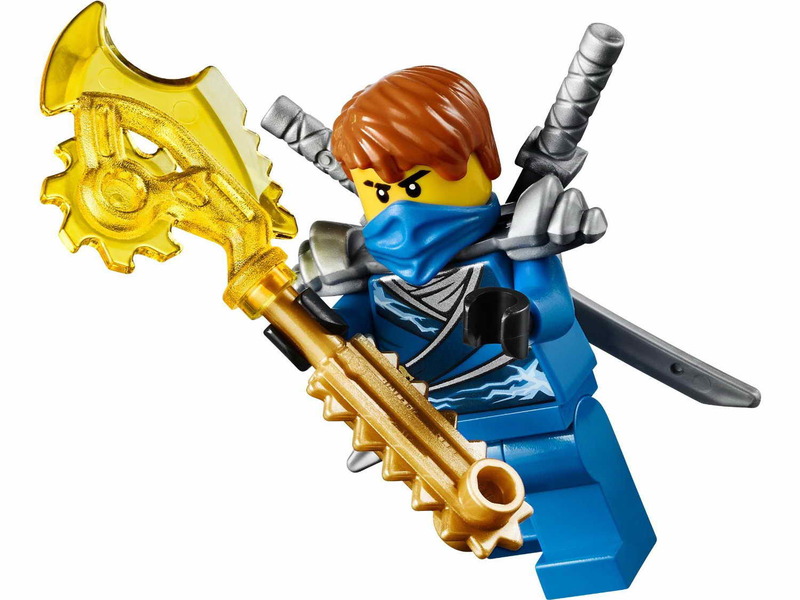 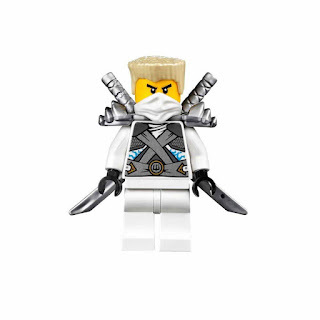 weapons included jay's transparent yellow techno blade, zane's transparent blue techno blade, 8 ninja swords, a nindroid dagger, a droid axe, a droid sword, overlord's gold and black weapon red element. 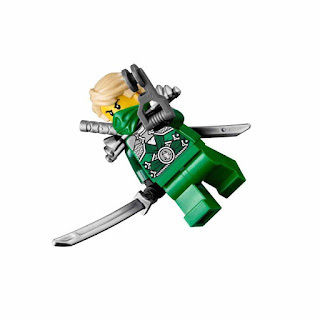 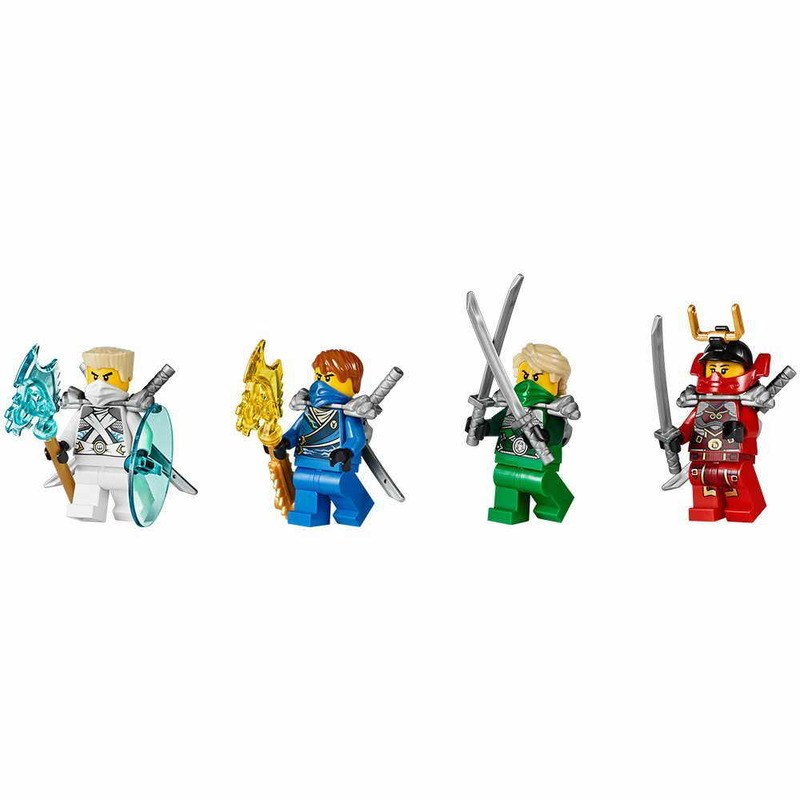 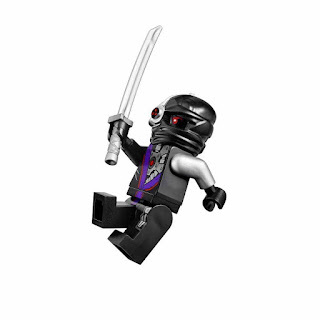 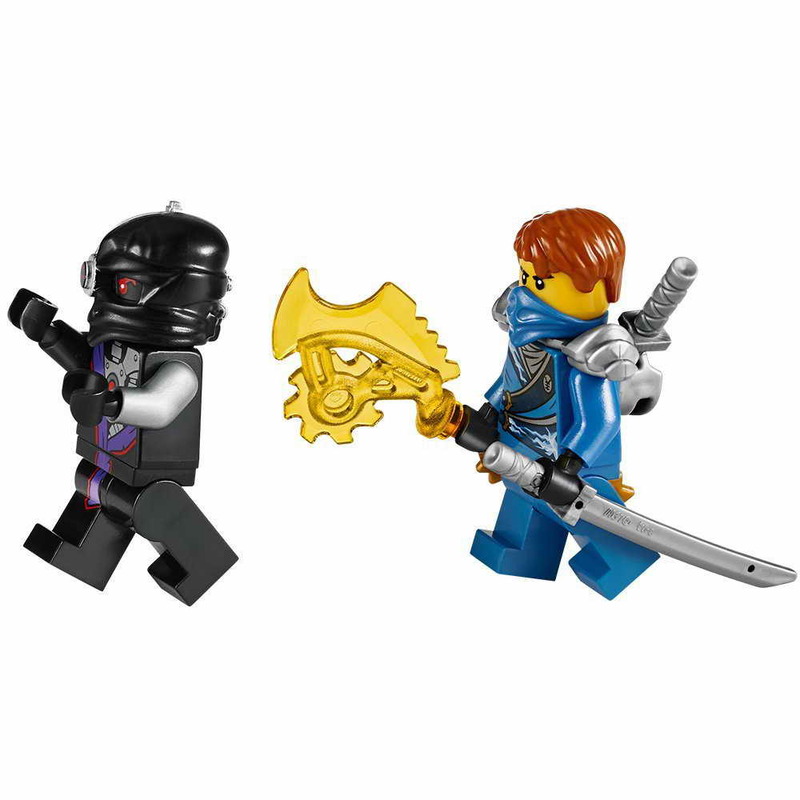 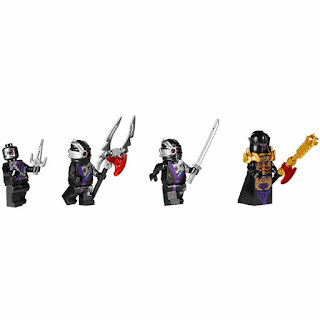 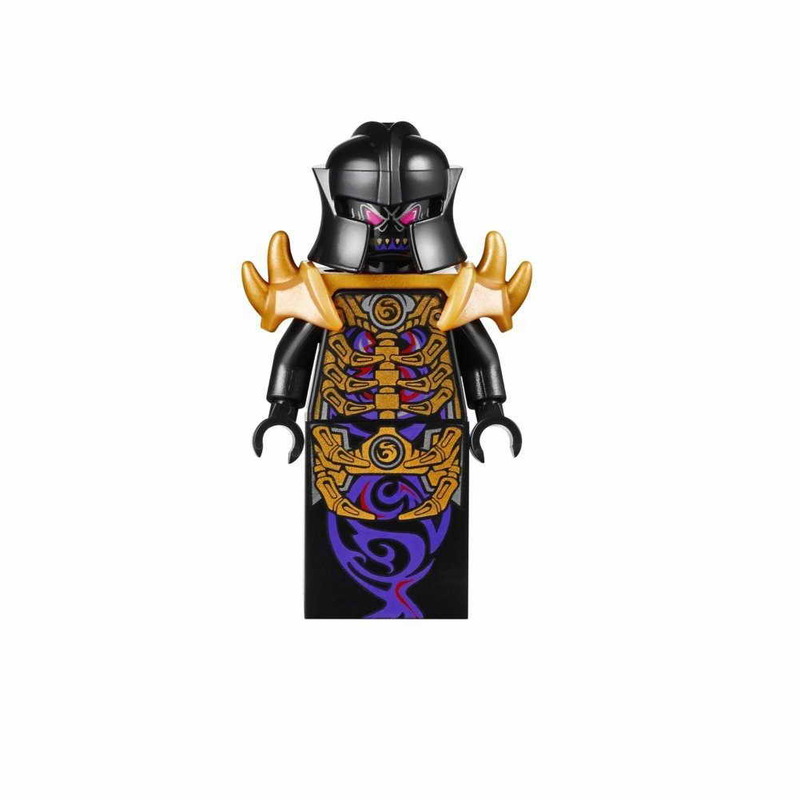 minifigs included a jay minifig, a lloyd minifig, a zane minifig, a nya minifig, an overlord minifig and 3 nindroid minifigs.